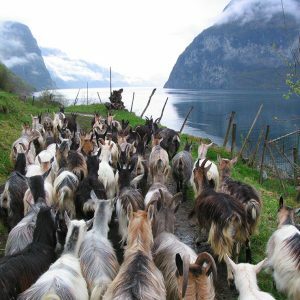 The villages scattered along the Sognefjord, Norway’s longest and deepest fjord, have an ancient tradition of producing goat cheese from fresh raw milk. Artisanal Geitost has been made on mountain farms for about 500 years;. Its production is limited today to the small village of Undredal and Aurlan along the Aurlandfjord in the inner part of the Sognefjord. Until 1982, the only way to get to Undredal was by boat; this isolation contributed to the conservation of the village’s cheesemaking traditions. Locally the term ‘Undredalsost’ (ost is the Norwegian for ‘cheese’) refers to two different types of raw goat’s millk cheese: brimost and white sognaost. However, they are quite different in taste and production techniques: a fresh ‘white’ cheese and a sweet caramelized ‘brown’ cheese (a category known locally as brimost, but more generally referred to as Geitost). The ‘brown’ Brimost cheese is made from the whey left over from the production of ‘white’ cheeses, as it is produced from the whey drained out of the curdled milk. The village’s ‘white’ cheese is made like a classic fresh goat cheese from raw milk curdled with calf rennet, then drained and pressed. The wheels of ‘white’ cheese weigh 3 kilos each and can ripen for several months. The brown cheese was made for sale whereas the white one was used in the households. 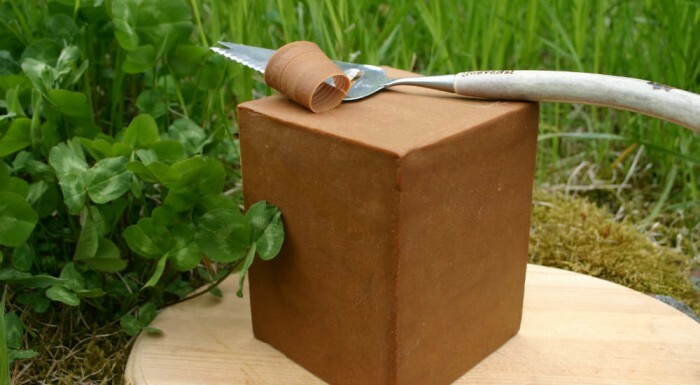 The brown cheese is made with an unusual technique, one found in Norway and Sweden. To make this specialty, a little whole goat’s milk and cow’s milk cream is added to fresh whey that is boiled immediately after draining it out of the white cheese. This mixture is cooked for 8-10 hours. During cooking, the lactose sugar present in the milk reacts and turns brown. The solid mass that forms from the cooked whey is then left to cool. 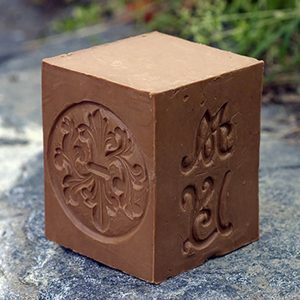 It solidifies as it cools, and once it is solid yet still malleable it is kneaded and pressed into square wooden molds. After a day in the molds, it is ready to be eaten – Norwegians like it best sliced thin and eaten on bread. Undredal’s cheesemakers have always produced their brown and white cheese with traditional methods and their own fresh raw goat’s milk, however, in 1991, the cheesemakers of the village faced a challenge when local food safety authorities demanded that they started pasteurizing the milk. The Undredal goat farmers took it upon themselves to lead a fight against the authorities for the right to use raw milk on behalf of all small-scale cheesemakers in Norway. They run a cooperative dairy, Undredal Stølsysteri, with four other families. In response to the challenge from Norway’s food authority, they founded Norsk Gardsost, an Association for Norwegian smallscale cheesemakers. By 1997, Norsk Gardsost had become a countrywide association with more than 100 cheesemakers from across Norway, and is working not only for the promotion of traditional cheeses, but also to promote raw milk cheese consumption. The continued production of Sognefjord Geitost cheese in Undredal represents the struggle of Norwegian cheesemakers against laws that favor industrial dairy production. During the 20th century, traditional cheesemaking in Norway deteriorated almost to the point of extinction, and the traditional brown cheeses have been substituted throughout Norway with mass-produced whey cheeses made from cow’s and goat’s milk. Undredal Stølsysteri remains one of the few cooperatives that makes geitost with raw milk, and in 2003 it became the first authorized producer of raw goat’s milk cheeses in the country. The Presidium works to bring attention to the noble work of defending farmers’ rights to produce raw milk cheese and will promote the quality foods produced in the remote and delicate ecosystem of the Sognefjord. The Presidium currently includes six cheesemakers in the Undredal and in other parts of the municipality of Aurland. Underdal is a local distributor of the cheese, located at the boatstop along the fjord.